What does an expert teacher need to know? In my last post I suggested that teaching needs to be understood as being derivative of a particular subject specialism. I argued that ‘teaching’ – like ‘research’ or ‘writing’ – means something only in the context of what is being taught. I take the arguments some have put forward that there might be some gains to be made from cross-subject collaboration, but I’ve argued in this blog for some time now that the lion’s share of training and professional development need to be subject-specific. At times, however, I recognise that I might well be misunderstood. My argument has always been that subject specificity ought to be at the heart of training and development, but this is sometimes misinterpreted by others to mean that the only thing I think that matters is subject knowledge, such as my knowledge of particular historical periods. I want to use this post to make my notion of subject specificity more clear, and I am going to do it by examining what kinds of knowledge I would expect an expert history teacher to have. Teachers of other subjects will, I am sure, be able to see how this converts to their own subject. I am going to set out in detail what kinds of knowledge I would expect an expert teacher to have: I have in mind people like Heads of Departments, mentors of trainee teachers, ‘Specialist Leaders of Education’, principal examiners and certainly anyone offering their services as a consultant! The difference between an expert history teacher and an academic historian is analogous to the difference between a GP and a Consultant: the former specialises in breadth, and the latter in depth. appropriate historical questions that can be asked of particular periods that are derived from historical scholarship. 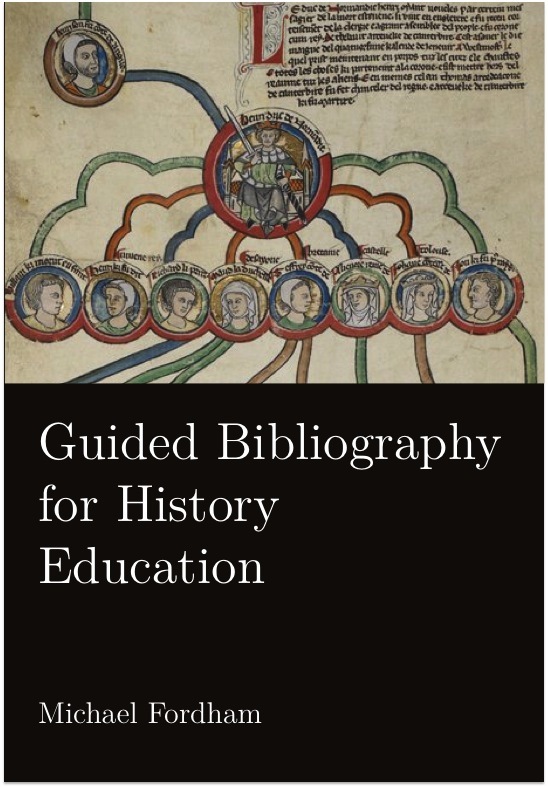 to provide examples of appropriate and age-appropriate historical scholarship that can be used to develop pupil extended reading in history. how history teachers in the UK – particularly since the 1990s – have developed a body of professional knowledge about issues to do with curriculum, pedagogy and assessment in history. to situate the work of history departments in relation to a wider professional discourse that has been extant since the 1990s. ways in which curricular questions (such as these outlined above) have been addressed by history teachers through their published works. to support departments in designing their curricula in ways which support transition from primary school to secondary school, and from secondary school to further and higher education. progression models based on teacher research, such as small-scale studies into pupil progression in addressing causal questions. to help departments – particularly heads of history and senior managers – understand what certain assessment models can and cannot tell us about pupil progression in history. opportunities and challenges presented by whole-school assessment models, and how history teachers (e.g. Burnham & Brown) have sought to meet senior management requirements without abandoning historical rigour. research on memory, including the implications of ‘cognitive load’, ‘working memory’ and ‘long-term memory’ for teaching. approaches to pedagogy informed by psychological research, including techniques such as ‘interleaving’ and the role of regular ‘quizzing’ in knowledge retention. the relationship between historical knowledge and the reading of works of history, and how mastery over one supports fluency in the other. A good expert history teacher should be able to provide his or her department – and perhaps other departments through collaboration – with the knowledge they need in order to make informed decisions about pedagogy, particularly in order to address how particular insights into how children learn might lead us to adopt certain teaching strategies. This post is based on a document Christine Counsell and I produced for the DfE on the kinds of knowledge that a History Specialist Leader of Education (SLE) might need to know. With a few modifications, it applies to expert teachers more generally. 2 Comments on What does an expert teacher need to know? I am surprised that you omit knowledge of the low countries. They were not only a crucial market fo our exports, but Holland provided us with the models for finance and governance that were crucial in the emergence of Britain as the leading world power in the 18th and 19th centuries. I expect this smacks too much of the dreaded “Whig view of history” for anyone to countenance this.